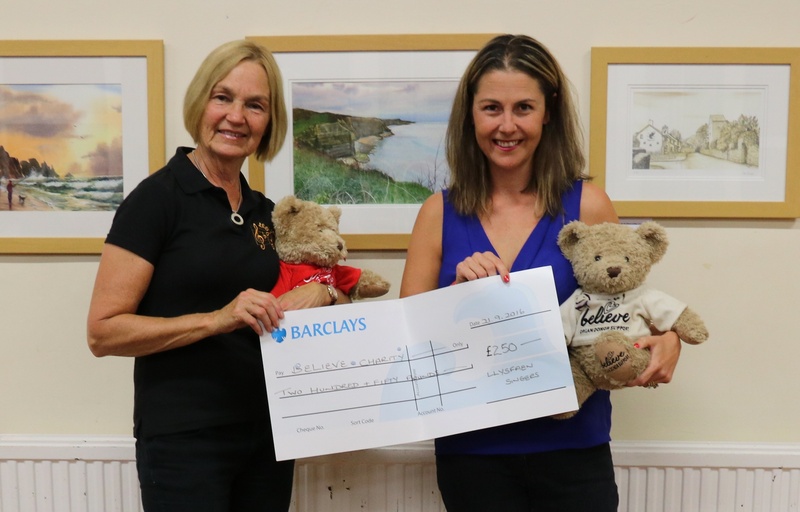 Following their successful concert in June '17 as part of the Lisvane Festival, the Llysfaen Singers were pleased to make donations to two local charities. In the first of these, the Choir has made a donation of £500 to the Velindre Cancer Centre in Whitchurch, in order to help further its aims in providing personalized and effective cancer care. As the premier Cancer Centre in Wales, Velindre is well known for providing high quality radiotherapy and chemotherapy treatments, care and support to cancer patients. The second donation of £250 was made to the “Forget-me-not Chorus”, a Cardiff-based charity that supports people with dementia and their families through weekly singing and creative workshops. The charity was formed in 2012 by founders Kate Woolveridge and Sarah Teagle, who had both been working with the group since 2010 under the umbrella of Welsh National Opera and Cardiff & Vale Alzheimer’s Society. As Lisvane's community choir, we are proud to support the Lisvane Old School Development Fund. 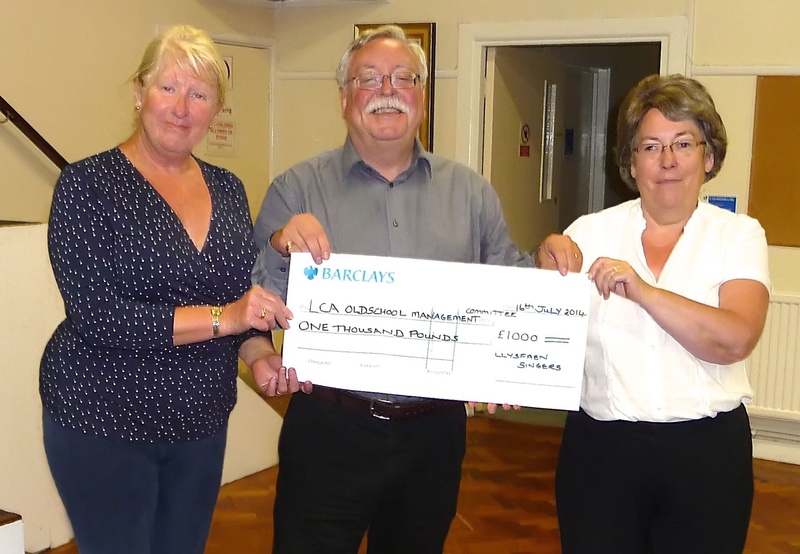 In July 2014 the choir donated £1000 to the redevelopment fund. 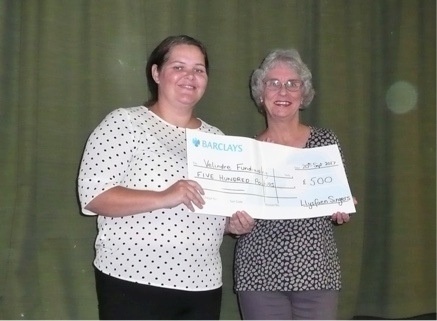 Velindre Fundraising supporter, Melissa Haggert was on hand to receive the cheque for £500 from Llysfaen Singers Choir member, Jan Jones. 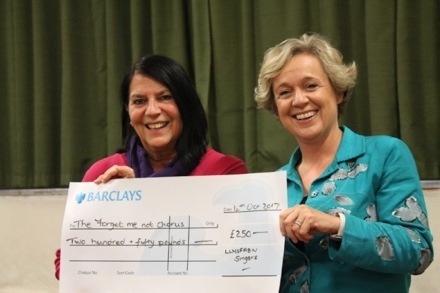 Choir member, Chris DeSouza presented the second cheque of £250 to the “Forget-me-not Chorus” co-founder, Kate Woolveridge. ....... and the “Progressive Supranuclear Palsy Association (PSPA)”. The choir also took part in a concert arranged by the Huggard Centre that raised nearly £1100, and the Choir took part in the Christmas tree lighting event that raised £200 for the Velindre hospital charity. In 2015 the choir donated £250 to each of two charities, Music in Hospitals and LATCH.